Photo courtesy of Medical Xpress. A recent study from the University of Technology, Sydney showed that adults who have experienced physical or sexual abuse as a child suffer from more chronic health conditions than those who have not experienced childhood abuse. The study highlighted that long-term consequences of abuse should be taken into consideration, especially when investing in health services aimed at preventing abuse, or assisting survivors of child abuse. Some of the long-term health problems that survivors of abuse suffer from are mental illness, alcohol and drug abuse, and self-harm. Those who suffer from long-term health problems have greater health care costs. According to the authors, the research wishes to highlight the impact of abuse on the health care system and to weigh up the costs of providing prevention and intervention services against the long-term cost savings in the health care system. Other health experts noted that the effects might be worse than the study showed because the research failed to include those who were homeless or in prison, who, they believe, may have suffered worse conditions as children. This is not the first time the issue has been addressed by researchers. Last September, Dr. Burke Harris, a pediatrician operating in California, gave a speech at Ted Med where she described in detail the long term effects of abuse and neglect on children, specifically the connection between childhood trauma and 7 out of 10 leading causes of death in adulthood. Childhood trauma affects brain development, hormones, DNA, and greatly increases the risk of heart disease, pulmonary disease, cancer, hepatitis, depression, and suicide ideation or attempts. The more adverse events a child experiences, the higher the risk for these and other illnesses. It also can contribute to a decreased life expectancy. Trauma also changes the way children’s brains develop, including the pleasure/reward systems and impulse control. The trauma can also cause constant toxic stress, where the brain begins to believe it is always at risk for harm, and the fight/flight function for survival is constantly turned on. 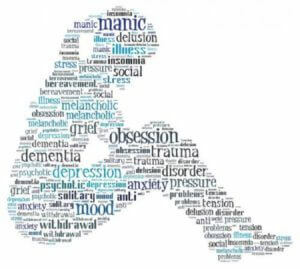 In the past, experts have connected childhood trauma to at-risk behavior, and sometimes clinicians have blamed the at-risk behavior to these diseases. But the CDC ACE study summarized by Dr. Burke Harris revealed that a decreased life expectancy and increased risk of disease can be predicted even if no at-risk behavior is or has been present. Sometimes the data on the effect of physical abuse during childhood can be confusing and hard to understand. Which is why we’re sharing this infographic called “The Truth About Adverse Childhood Experiences (ACE)” created by The Robert Wood Johnson Foundation. Based on data from a CDC study on ACEs, the infographic reveals that 28.3% of participants had suffered physical abuse, 20.7% had suffered sexual abuse, and 10.6% had suffered emotional abuse. 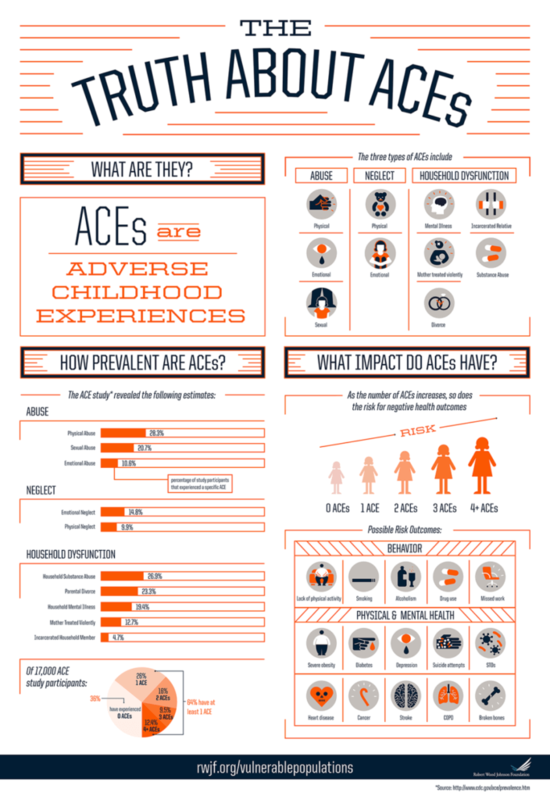 In addition, 64% of participants had suffered at least one ACE during childhood, but 37.9% had suffered multiple ACEs. The risks of negative outcomes greatly increases with each ACE. These possible outcomes including smoking, alcoholism, drug use, physical injuries like broken limbs, cancer, depression, suicide attempts, stroke, and STD’s, among others. The infographic paints a difficult picture for children who are abused or neglected, but we believe there is hope for a better future. To find out more about the effect of abuse, and what you can do to prevent it in your community, visit the Robert Wood Johnson Foundation website. To find out more about the work Dr. Burke Harris does in California to prevent child abuse and neglect, see her website Center for Youth Wellness. If you, or someone you love, have been been abused, please contact our office for a free case review. You can call us at 888.212.0440 or by email via the form below.